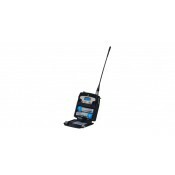 The BST 75-216 mini base station transmitter meets the highest professional standards while offering.. 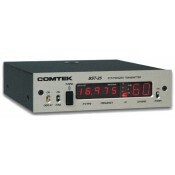 The BST-25/216 MHz is a professional quality, auxiliary base station transmitter designed to operate.. 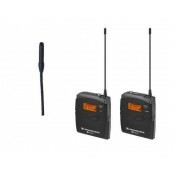 The M-216 Option P7 is the perfect on-the-go field transmitter offering directors, crew, and client .. The unique PR-216 Option P7 high fidelity receiver is perfect for use as a "piggyback" receiver on p.. The PR-216 is our highest fidelity, professional quality, personal monitor receiver designed to work..
K-Tek’s ERX2 Holder is the perfect accessory for Zaxcom’s ERX offering added protection while making.. The NEOPAX products are belts of different lengths offering a convenient pocket designed f.. 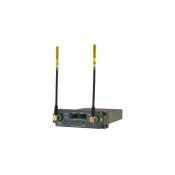 Operates from 470 to 870 MhzTwo (2) 1 into 8 active splittersProvides remote antenna poweringPowered.. The PSC UHF Log Periodic Antenna will provide the users of UHF wireless microphones a simple and ele.. 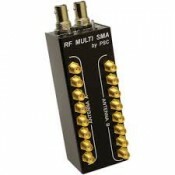 The PSC UHF Power Paddle Antenna will provide the users of UHF wireless microphones a simple and ele.. Remote Audio “Miracle Whip” ANBNC Flexible Antenna Kit. Always straightens! Miracle Whip antennas ar.. Remote Audio “Miracle Whip” ANSMA Flexible Antenna Kit. Always straightens! Miracle Whip antennas ar.. 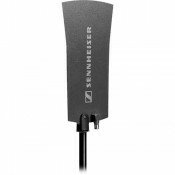 The Sennheiser Omnidirectional Antenna is designed for use with the G2 series rack-mount receivers o..
A sound solution with broadcast quality. With the best flexibility for your sound and video recordin.. Introducing URSA Foamies! Soft foam mounts for your COS11s, DPAs & B3s. Designed with flat sides..
URSA FUR CIRCLES WIND COVER MULTIPACK 9u x 30 stickiesLong Hair Wind Protection for Lav Mics.R..
URSA PLUSH CIRCLES SHORT FURS MULTIPACK 9u x 30 stickiesLow Profile Short Furs for Light Wind Protec..
URSA Pouches allow you to rig a transmitter vertically or horizontally to a belt or bra. They c.. Lock your transmitters in place with our low-profile Pouch Protectors. Sold Separately in packs of 4..
URSA STICKIE CIRCLES x 90Pack of 90 Hypoallergenic 24mm Stickie Circles Clear, low profile sti..
Thigh Strap with universal pouch for Radio Transmitter sitting sidewards..
URSA VERY STICKIES CIRCLES x 90Pack of 90 Hypoallergenic 24mm Very Stickie Circles Clear, low ..
URSA THE WIRERIGConvierte cualquier Lav Mic en un cuello de cisne perfecto para plataformas de autom..
Viviana Straps are the safest and most comfortable way to let talents wear your TX and they are.. 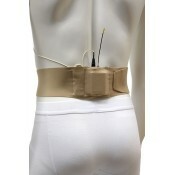 The Viviana Waist Straps Extreme comes with a new grip material that runs along the inside length of.. Chose any six, at least 1xTHIGH , 1xANKLE and 1xWAIST on each pack.Viviana Straps are the safes..
DUAL TRUE DIVERSITY - UHF MINIATURE CAMERA RECEIVER MODULAR EXECUTION "STAND-ALONE" OR "SLOT-IN..
WIDEBAND ENG RECEIVERMPR30ENG is a compact true diversity receiver designed for professional ENG, br..
WIDEBAND PLUG-ON TRASMITTERMTB40 is an extremely small and light plug-on transmitter especially desi..
WIDEBAND PLUG-ON TRASMITTERMTB40S is an extremely small and light plug-on transmitter especially des..
WIDEBAND BODYPACK TRASMITTERMTP40 is an extremely small and light pocket transmitter especially desi..
WIDEBAND BODYPACK TRASMITTERMTP40 Lite is an extremely small and light pocket transmitter especially..
WIDEBAND BODYPACK TRASMITTERMTP40S is an extremely small and light pocket transmitter especially des..